Increase steering stability, increase K-member rigidity, and reduce front alignment changes on your S550 Mustang with a front Chassis Brace from BMR Suspension. Built from heavy-duty rectangular steel tubing, BMR’s CB006 Chassis Brace is designed to support and stiffen the factory S550 K-member and front suspension. This increases steering feel and stability during aggressive maneuvering. BMR’s CB006’s front Chassis Brace ties the front lower control mounts to the rear legs of the K-member. The design reinforces every major area of the K-member efficiently reducing deflection when lateral loads are applied to the chassis. 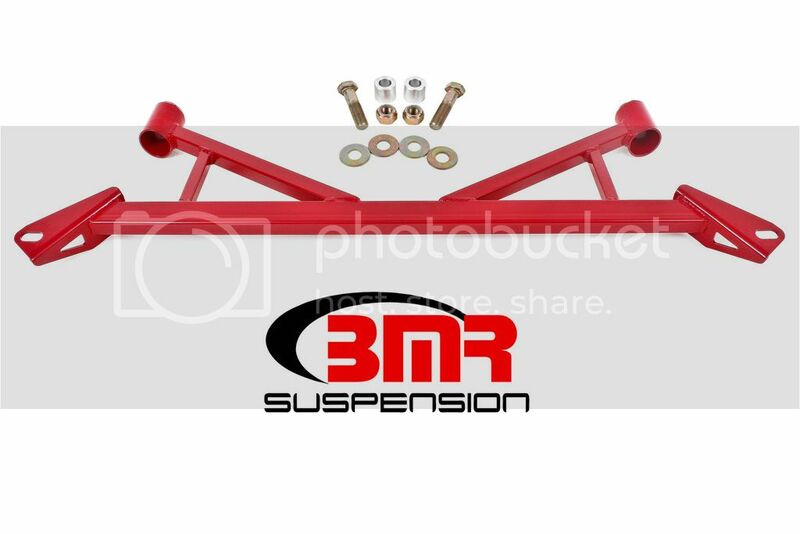 BMR Suspension designed the CB006 front Chassis Brace for any street performance, drag race, and handling applications. This 100% bolt-on kit use existing boltholes, allowing for easy installation with simple hand tools. Once installed, the Chassis Brace minimizes K-member deflection with no change in NVH. This brace is designed to fit with both stock and aftermarket headers and exhaust systems. BMR Suspension’s CB006 front Chassis Brace is available in black hammertone and red powdercoat for long-lasting good looks. Installation time is about 1 hour. Proudly made in the U.S.A.! To preview all of BMR’s high-performance suspension parts, please visit www.bmrsuspension.com, email [email protected], or contact them at BMR Suspension, 928 Sligh Ave, Seffner, FL 33584, 813-986-9302, Fax: 813-986-8055.